Often when working with infiltrated zirconia restorations, polishing is enough for the final finish. There are occasional clinical circumstances that may require stain and glaze to achieve a harmonious blend, particularly when using a high strength zirconia such as ZirCAD LT which is more of an opaque material. 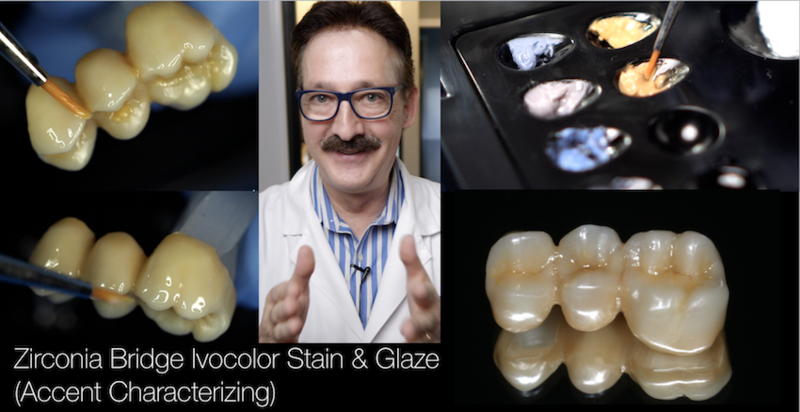 This video will provide the workflow for using Ivocolor stain and glaze.